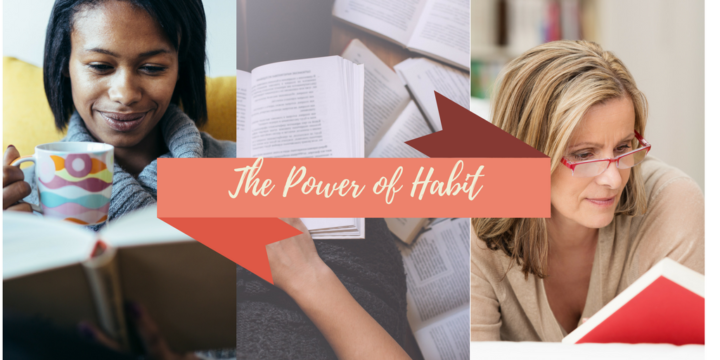 Continuing our occasional series on books that have influenced my thinking about what it means to live a productive life, this episode features some of the highlights from Charles Duhigg's fascinating book, The Power of Habit. Earlier this year I started what will be an occasional series of episodes sharing key points from books that contribute to our understanding of how to live a meaningully productive life. Episode 133 features important concepts and my thoughts about them from Gary Keller's excellent book, The ONE Thing. This time I wanted to share highlights from another book that I've found informative and thought-provoking: The Power of Habit, by Charles Duhigg. As with Keller's book, in this episode I mostly share the key points from the book in the author’s own words, with some of my thoughts about why those points struck a chord with me. If you’ve read (or listened to) the book, I’d love to hear your thoughts, too. Please share them in the comments section below, or join the discussion in The Productive Woman Community Facebook group. 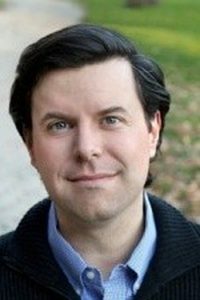 According to his author page on Amazon, Charles Duhigg is an award-winning reporter for The New York Times, part of a team that won the Pulitzer Prize in 2013 for a series about Apple, as well as winner several other honors for his investigative reporting, including the National Journalism Award, the Investigative Reporters and Editors' Medal, and the National Academies' reporting award. He's a native of New Mexico, but lives in Brooklyn, New York, with his wife and two young children. Learn more about Charles Duhigg and his other work (including the equally fascinating book Smarter, Faster, Better: The Secrets of Being Productive in Life and Business) on his website. Why would we talk about a book about habits on a podcast about productivity? Much of our life is spent doing the things we’ve established as habits (whether intentionally or not), so whether our habits are good or bad has a lot of impact on how productive we can be — both in the sense of getting things done and in the sense of making a life that matters. When we struggle with doing the things we want to do, the answer might be in the habits we’re living with. Habits live in and are governed by the basal ganglia — the oldest and most primitive part of the brain — in contrast with the prefrontal cortex, where reasoning lives. The book shares interesting case studies and how habits have affected people’s behavior. These stories demonstrate what scientists have learned about how habits affect our lives. These scientists share where habits come from and why they develop. This is the background as to why our brain has developed the tendency to form habits. Habits are automatic actions and thought patterns that we follow without conscious thought. If you think about it, when you wake up in the morning, what is the first thing you do? Then, the next thing? Before you're even consciously thinking, you're acting out the routines of your day. A good example of habits developing is driving. You remember when you first learned to drive and you had to memorize each step to driving a car. You have to think about every step very consciously. Years later, though, you don’t really have to think about it anymore. The habit response in our brain is what allows us to drive and still talk to someone in the car, adjust the radio, and keep an eye on the kids (or the groceries) in the back seat. Habits are powerful. When a habit kicks in, we act without thinking (and that's not always in our best interests). For example, we may react in a habitual way to stress, perhaps by going to the kitchen to find something to eat, whether or not we're hungry. Habits bypass our rational, reason-based thought to act in an automatic pattern. Understanding how this works gives us the tools that we need in order to create new habits that will potentially serve us better than the ones that we have. This information is so helpful in trying to figure out how to establish new habits so you can more toward your goals. Duhigg then talks about “The Golden Rule of Habit Change”: you can’t extinguish a bad habit; you can only change it. In order to change it, you use the same cue, provide the same reward, and change the routine. The first step is “awareness training,” and paying attention to the when and why and describing what triggers your habitual behavior. What do you feel right before you do [whatever]? Describe why you do [whatever]? How do you feel when you do it? What’s the reward? Pay attention to the when and why. Habit reversal training is used to treat verbal and physical tics, depression, smoking, gambling problems, anxiety, bedwetting, procrastination, obsessive-compulsive disorders, and other behavioral problems. This is based on “one of the fundamental principles of habits: Often, we don’t really understand the cravings driving our behaviors until we look for them.” We do these things unconsciously. It’s important to address the craving that drives your habit. For example, if you want to stop snacking at work, you first need to understand why you do it — is it to satisfy hunger, to interrupt boredom, or something else? The replacement habit (competing response) you choose needs to address the right craving. Duhigg reminds us that although it's possible to “retrain” ourselves to incorporate better habits, it takes intention, experimentation, and very often the encouragement of a support system. If there is a habit you want to change, whether it is procrastinating, or overeating, or not exercising, or things that are more serious to you than that, you need to believe that change is possible. You are more likely to be successful if you develop a support system, if you are part of a group, or if you find a buddy to work with you to help you to be accountable, who is possibly working toward the same goal. This is one of the great advantages to a mastermind group, whether is it The Productive Women Mastermind or any other. That accountability and mutual support help us to believe that change is possible, and it can make a huge difference in our ability to create better habits that help us to be more productive. Another thing Duhigg discusses in the book is something called keystone habits. Think back to the earlier quote that the final element in successfully changing habits is belief. Finding that keystone habit helps us to create small wins that snowball and help us to believe that bigger change is possible. Willpower is the ability to delay gratification. So in order to conserve your willpower during the day you have to make other things into habits that don’t require your use of willpower. Instead, save your willpower for the new things you want to do, the new habits you want to develop. Duhigg shared a number of stories about developing plans to strengthen willpower. It starts with becoming aware of where your weak points are, and developing a plan to address it. For example, if you want to develop a habit of working out regularly, as part of the process of establishing that habit you need to figure out where your weak points are, or where your plan fails you. Duhigg calls these “inflection points,” or those times when our pain is the greatest. So you have to look at it and say, “I want to develop a habit of working out regularly, but why don’t I? Where does the plan fall apart?” Maybe you come home and sit down to watch TV for a minute and then don’t get up? What’s your plan to prevent that? Perhaps pack your gym bag and keep it in the car and stop at the gym on your way home, and workout before you get home. You might schedule a tennis game or a jog with a friend. So you have to look at it and say, “I want to develop a habit of working out regularly, but why don’t I? Where does the plan fall apart?” Maybe you come home and sit down to watch TV for a minute and then don’t get up? What’s your plan to prevent that? Perhaps pack your gym bag and keep it in the car and stop at the gym on your way home, and work out before you get home. You might schedule a tennis game or a jog with a friend. The key is to figure out when your willpower is the weakest and prepare for that moment that you know will come. Be aware of your weak moments, and plan ahead to deal with them. So many of the conversations I have with myself and with those in The Productive Women community are about things that we do that we wish we didn’t, or things we wish we would do that we don’t. In The Power of Habit‘s prologue, Duhigg mentions case studies of people who had “remade their lives” in a short time. As I read that section, I pondered the challenges of making lasting change in our lives. We say change takes time, but that’s not true. Change happens instantaneously. It’s thinking about change, preparing to change, trying to change that takes time. But when change happens, it’s like flipping a switch: one moment you’re a smoker, or an overeater, or a liar, or a gambler, or whatever; the next moment you aren’t. If you believe change is possible, even the most entrenched habit can be changed if you are prepared to do the work. Are the habits you’ve developed serving you? Is there one you’d like to change? I’d love to help support you in that. Please share your questions or thoughts in the comment section below or in The Productive Woman community Facebook group, or email me. Visit the Work With Me page to learn more about TPW Mastermind groups (new groups forming soon for the fall) and personalized one-on-one productivity coaching. Questions? Email me! WOW!! Laura, such a great podcast with so much information about habits and I really connected with this one. I too am interested in this area of habits and why we have them and how they impact on what we do every day. I have had a struggle over the years with drinking diet coke, nothing too concerning, however, the more I drink the more I crave it. I found everytime I was near a point of sale that sold Diet coke I would have to buy some, I now limit this to one a week and buy bottled water instead. Its interesting its not really the taste or flavour that I like, it is more about the purchase and experience – and the water works just as well. Im looking forward to reading the book you suggest – a great find, thank you. Once again thank you for your podcasts and discussing the areas in life so many of us struggle with. Thank you, Joanne. I’m so glad to hear that you found this episode helpful.